On June 4 at the WWDC 2018 keynote, Apple® announced major updates to all of its software platforms. One of them is macOS® Mojave, the new version of the operating system for your Mac®. macOS Mojave will be available to Mac users this fall. But what if you want to look at it earlier? Immediately after the keynote, the Developer Beta of macOS Mojave became available to members of the Apple Developer program. We expect that by the end of June, it will also be available as a public beta. This will enable many more people to download and install it. You can upgrade the macOS on your Mac. However, Mojave is a beta of an operating system, so this is not a recommended approach. 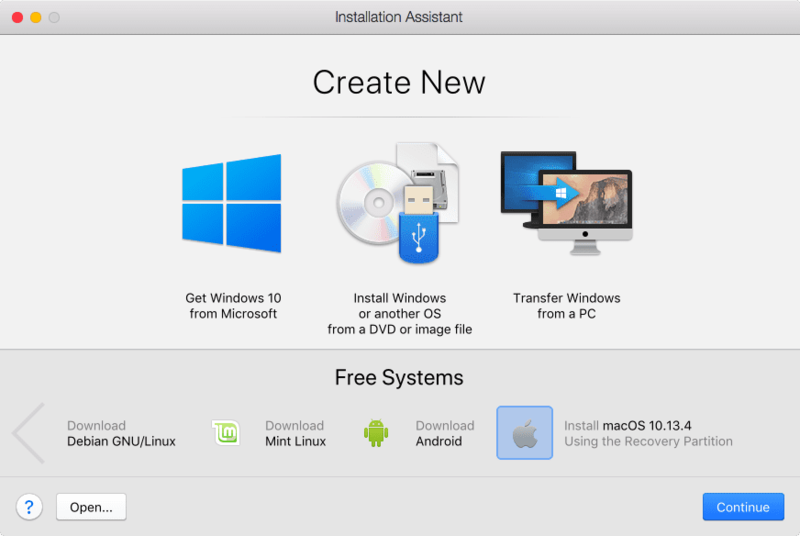 You can install it on a separate partition on your Mac. This is a rather geeky approach and requires lots of steps, including repartitioning your drive, booting from the recovery partition, and rebooting several times. You can install macOS Mojave on a spare Mac—but how many of us have a spare Mac lying around? You can use Parallels Desktop® for Mac and run macOS Mojave in a window alongside other Mac applications. This is a very safe way to try out a beta OS. I’ve done it for years, and I highly recommend it. Thousands of people use Parallels Desktop to run some version of macOS: Lion, El Capitan, Sierra, or High Sierra. They do it for a number of reasons: to test applications on different macOS versions as developers; to tune it in a sandbox as system admins; to run legacy PowerPC applications using OS X® Snow Leopard; or just to try a new macOS version out of curiosity. 1. Get Parallels Desktop, if you don’t already have it. Install Parallels Desktop—it’s a pretty straightforward process. If you already have Parallels Desktop on your Mac, make sure it’s version 13.3.2. Earlier versions won’t work with macOS Mojave. Scroll through the “Free System” row until you see the “Install macOS” item. (It will name the macOS version you currently have on your Mac. Don’t worry about that.) Select it and click Continue. Parallels Desktop will create a software version of a Mac computer (also called a virtual machine or VM) and automatically boot it from the recovery partition of your Mac. macOS will be installed on the virtual disk of the VM that was just created. This is just a file in the Parallels folder in your Documents folder. 4. Now you have a version of macOS running inside a window. Click the yellow triangle in the title bar and install Parallels Tools. Parallels Tools will enhance usability of your virtual computer. You’ll be able to drag and drop files, copy and paste text between systems, and resize windows to change resolution. 5. 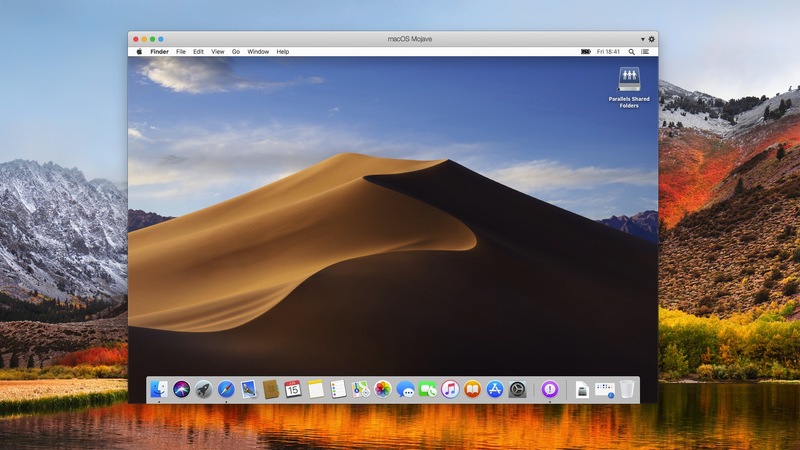 Now you can upgrade your virtual computer to macOS Mojave. In your new VM, go to the Beta Program page on the Apple site. Sign in and follow the instructions. 6. You will download and run the Beta Access Utility in the virtual computer. Your system will look like Figure 2. 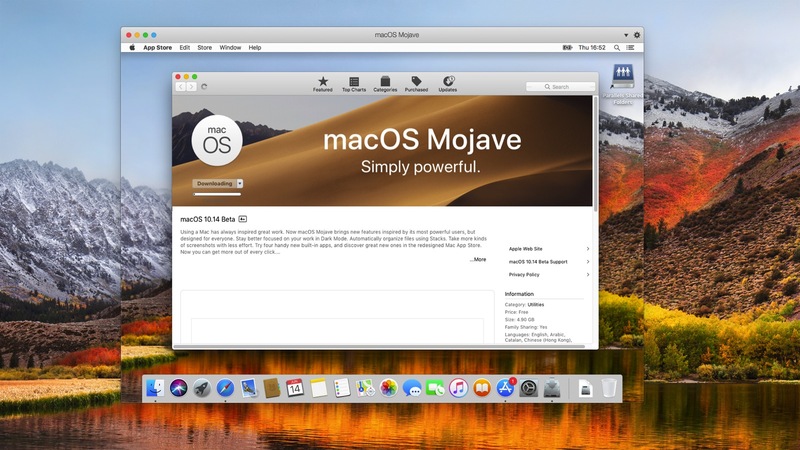 The Install OS X Mojave application will download and launch. Note that this will be about a 5 GB download. Run this application, and soon you’ll have macOS Mojave running in your VM on your Mac. Keep in mind that this is a beta version of an operating system, so it might have some issues. One interesting thing about macOS Mojave is that it’s likely to be the last macOS to run 32bit applications. This might make it a popular macOS to run in a virtual machine, similar to how Snow Leopard is used to run PowerPC applications via Rosetta. Parallels Desktop is famous for running Windows applications on Mac. It makes millions of people more productive by running Windows and macOS software side by side on Mac computers. You can also use Parallels Desktop to run many different versions of Linux. Parallels is excited about the news from Apple and is working hard to get the most out of macOS Mojave in upcoming Parallels Desktop updates. You must use Parallels Desktop 13.3.2 to be able to use macOS Mojave with Parallels Tools. This is a free update to Parallels Desktop 13 for all users. Parallels Desktop Lite 1.3.0 and previous versions of Parallels Desktop might experience black screen issues with Mojave guest after the Parallels Tools installation. The macOS Mojave virtual machine will be unusable. 3D acceleration is not available, so some applications may not work correctly and some graphics artefacts may appear. The Parallels Shared Folders icon on the VM desktop may be missing. When macOS goes to sleep, the virtual machine gets paused. When you return from pause, there is no mouse cursor. To get the cursor back, just resize the VM window. The macOS VM can be switched to Coherence view mode. In Coherence, some application windows may not want to go on top at their selection. 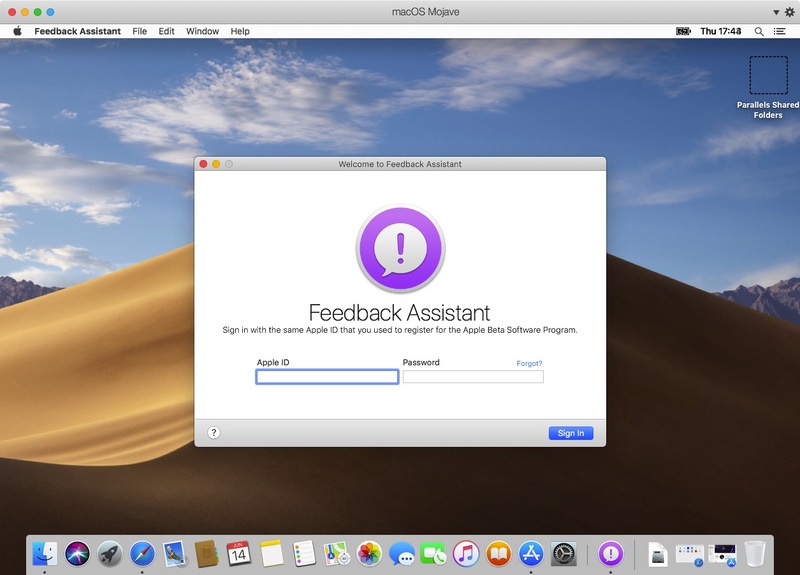 Let us know in the comments about any other issues you experience with the macOS Mojave virtual machine, and let Apple know about your experience with macOS Mojave using its built-in Feedback Assistant (see Figure 4).